An Auction House is where you can buy and sell items for gold in an online game. The AH in Wildstar, since the update of UI 2.0, has become easy to operate, so players are able to put what they have on sell or just purchase what they want from an AH with wildstar gold as the currency. There are two parts for Wildstar AH: the one for items and the one for commodities. If you want to buy: first find the item you want or search the one you want and sort them in price, level or rarity. Then filter, the conditions being level, attributes, rarity and price. And note that all the goods in game are bid for. If you offer the highest price after the auction, you get the item. If you want to sell: choose the one you want to sell from the left column and input the minimum bid and buyout price. Click the List Item and you can post it to the AH. But a listing fee is needed and the listing length is two days. Below is the price of the same item which you can refer to. Each character can sell at most 25 items simultaneously. What makes it different from other Ahs is that you can also create buy order or sell order. On the Create Buy Order menu, you can search and filter the commodities you want to buy and the amount, the price. Clicking the button Create Buy Order (under which there is a lowest price to refer to) would finish the process. After submitting your order, when there are commodities conform to your order, you can get them. The Sell Now menu will show you the commodities you can sell, each with a Current Price, which means this one has already in others' Buy Order and the offered price has been the highest. If you click Sell Now, you will immediately finish a deal, you will get the wildstar gold by mail. Or you can also ask for a higher price, then this commodity will be in your sell order. Not until someone buys it can you get the gold. Notice that in Wildstar, every deal in the Auction House need a listing fee with some gold, but not when doing face-to-face transactions. 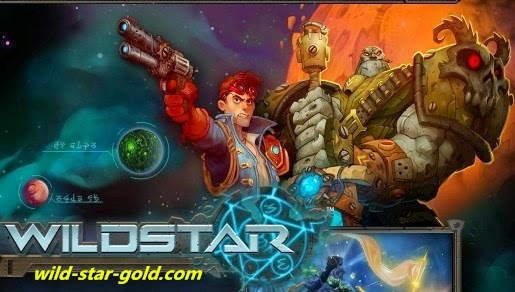 You can buy wildstar gold from wild-star-gold.com low price with best service.